A recent trip to America yielded the usual jokes about rendition and being sent to “Guacamole Bay” as one of my mates called it but I was not concerned, that was until I approached the immigration desk and saw that they were taking everyone’s biometric data (retina scans and fingerprinting) I was not amused. What happened to being innocent until being proved guilty? 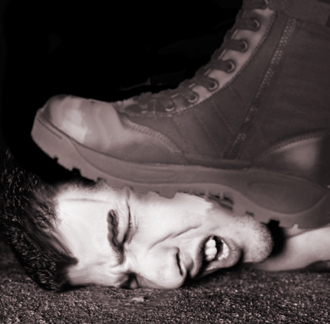 So not only do they steal your biometric data but they then palm it off to every man and his dog. If you are concerned about identity fraud and shred your papers on a weekly basis, don’t bother. At the rate they are stealing your information it is already open source. The lady at the immigration desk was pleasant enough, although she seemed mildly amused at my agitation for having never been in trouble and yet still having to be vetted like a criminal. I asked if she thought it was bad that in the year 2013 we treat everyone as an enemy of the state but she declined to comment. I tried not to let it sour my experience of what was a relatively pleasant journey (minus the coach ride but that’s another story) and reluctantly put my hand on the scanning device. As I was doing this I wondered how the public have allowed themselves to be railroaded and sleep walked into this 1930’s Germany style security checking. Would these people be as happy to do their finger printing if say they had to get thick black ink on their hands and have it pressed into paper like they did not so many years ago? Probably not. Technology has advanced our lives in so many ways yet at the same time, due to the actions of war criminals and the worst purveyors of violence – our governments, we are having this technology turned against us and the simplicity of it is convincing us it is fine. People will say if you have nothing to hide then you should have nothing to worry about, that these are fantastic ways of ensuring people are who they say they are and getting their data onto file. If that is the case shall we just start finger printing children when they start school? After all, it is the children that go on to become criminals and “terrorists” when they grow up, so we might was well get them young and get them early! I do not agree with the idea if you have nothing to hide you have nothing to worry about. I feel that is the apologist’s way of bending to the will of the state and justifying blatant, daylight attacks on our liberties. Every now and then, TV IS GOD, throws you a bone and last night was one of those nights. Last night BBC Question Time devoted a considerable amount of time to the recent Daily Mail attacks on Ed Miliband’s father Ralph. They have decided to label Miliband’s late father as an enemy of that state because he dared to write (as a 17-year-old) that Britain could do with being taught a lesson about empire by losing the war. He went on to serve with the Royal Navy and was there at Normandy. Very much a hero for the very freedom of expression I am enjoying right now. Let us not forget that the empire that Britain has desperately fought to protect over the years was built on the blood, bones and tears of people deemed to either be weaker, less human or less important than ourselves and we called ourselves “the motherland”. The Daily Mail however, as the self-appointed conscience of the UK, decided to take an opportunity to throw mud at Ed Miliband by disgracefully attacking the memory of his father and Quentin Letts, who works for the Daily Mail was mid-flow explaining it was a fair political comment when Mehdi Hasan asked the question: “Who really hates Britain” What followed was one of the most brilliant pieces of television I’ve seen since Alessio Rastani told the BBC that Goldman Sachs ruled the world and that they did not care about us. The endorphin rush I received at that point was worth every minute of staying up for. I had just had a battle with myself on whether I could stomach Question Time and thanks to Hasan I am glad I did. 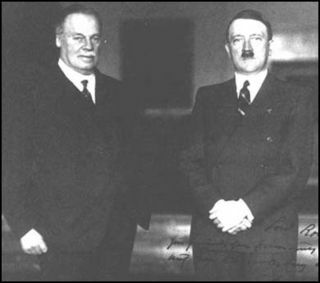 The Daily Mail owner Lord Rothermere courted Hitler in the build up to the war, counting Mussolini as his friend too. They may not have been the only title who printed pro fascist pieces in the 1930’s but for some context on the absurd attack that the Mail have engaged in over Ed Miliband’s, it is priceless. The Daily Mail loved to tell us of the ‘scum’ dancing around our streets following the death of Margaret Thatcher and have used this is a way of justifying what they are doing with Ed Miliband. What confuses me more is that the very people that tend to read this paper are the very people it hates the most, working class people, that they manage to help convince everyday that they are middle class and above the strife we face on daily basis. As Mehdi put it, they hate women, bait gay people, smear Muslim’s, encourage the vote for fascists in France, called Mo Farrah a plastic Brit and poured scorn on Danny Boyle for having a mixed race couple during the Olympic opening ceremony. 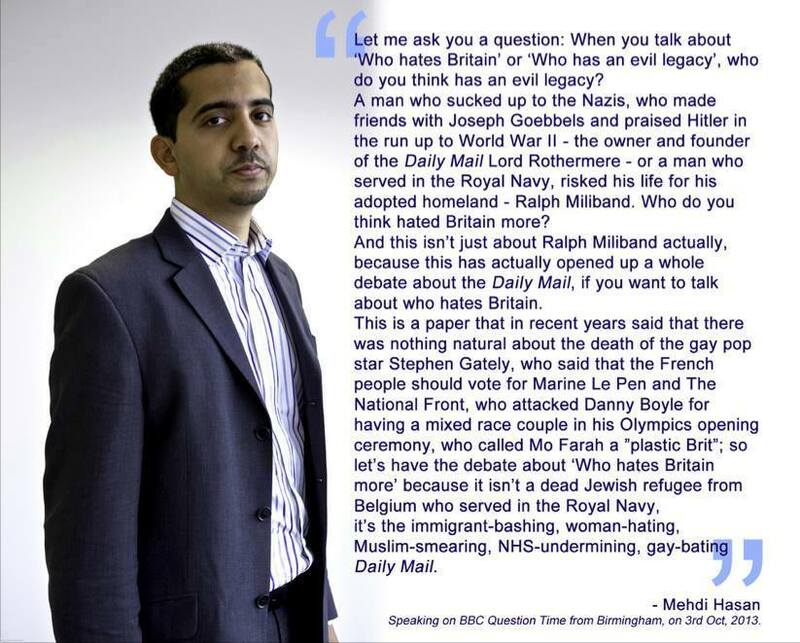 Who hates Britain? The Daily Mail.